First activity that we did when we went to Auckland was we joined a group tour for Hobbiton Movie Set. A significant location used for films, The Lord of the Rings and The Hobbit, it’s a unique place to visit when travelling to New Zealand. If you’re a fan of the films, definitely this place is an exciting attraction to see. The Hobbiton is also one of the most recognizable Middle-earth locations in the country. The Hobbiton Movie Set is situated on a family run farm in Matamata, which is about 2-hour drive from Auckland. 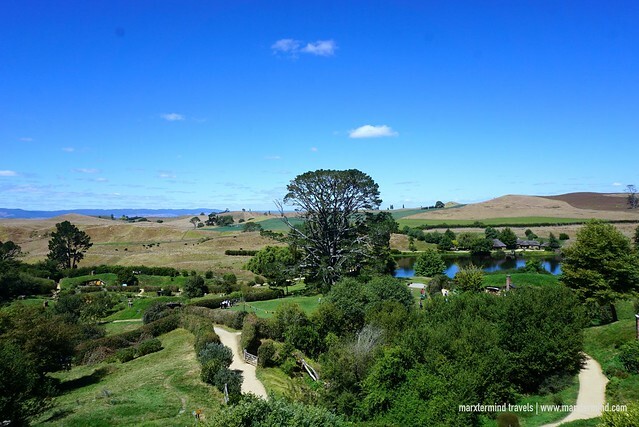 To get to the Hobbiton Movie Set, joining a group tour was the most convenient option for us. Thus, we booked a tour with Awesome NZ. 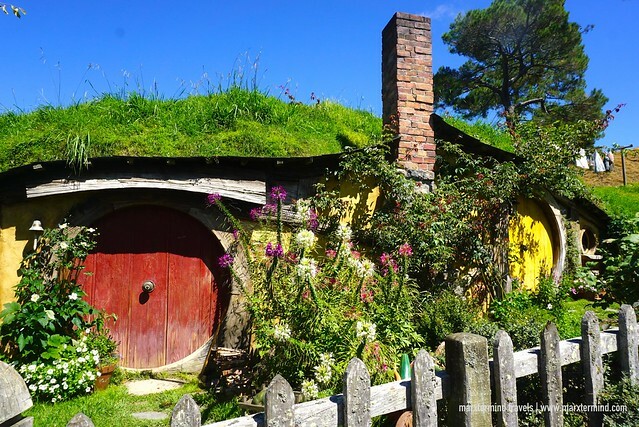 The company offers affordable tour to Hobbiton Movie Set departing daily from Auckland. The tour starts at 9:30am at the Sky City Bus Terminal as meeting point. Staying in an apartment along Queen Street, we didn’t have a difficult time to get to the meeting location. The tour is by coach. From Auckland, we travelled through a beautiful countryside and reached the town of Matamata after two hours. Our group stopped by for a quick-lunch. In town, there are some restaurants and café. There’s also a visitor information center. Our driver gave us 20 minutes to spend. So after buying sandwich in a nearby Subway, my friends and I immediately went back to the bus. We left around 12pm going to the Hobbiton Movie Set. Travel time from Matamata is 15 minutes. Fully guided tour for Hobbiton Movie Set was already part of the package that we booked with Awesome NZ. So when we arrived at The Shire’s Rest Café, our bus driver asked our group to wait for a few minutes while he was collecting the tickets. 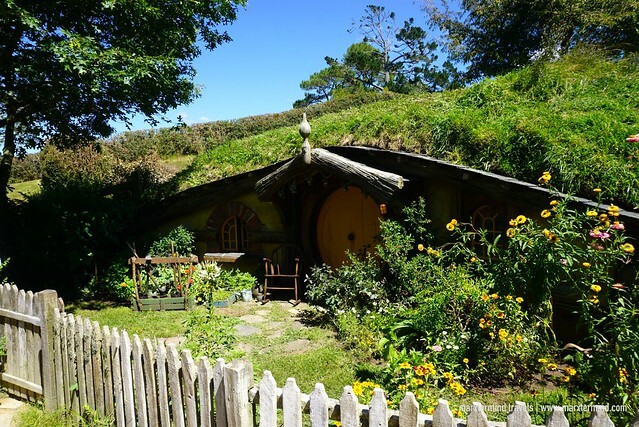 Because Hobbiton Movie Set is a famous tourist attraction, it can sell out fast so pre-booking is highly suggested. Our group was set to begin the tour at 1:15pm. This is when the real adventure begins. An expert guide from the Hobbiton will conduct the tour and guide us through the set. From the Shire’s Rest Café, we boarded another bus to get to the movie set. It was a short drive through a wonderful rolling hills. When we arrived at the farm, our guide told us first some fun facts, history and information about the movie set. She also asked everyone to always follow the group and avoid wandering away. Stepping into the world of Middle-earth was nothing but an amazing experience. It felt like I was transported into the movie while seeing the picturesque setting and other structures from the film. The stunning landscape was also incredible. 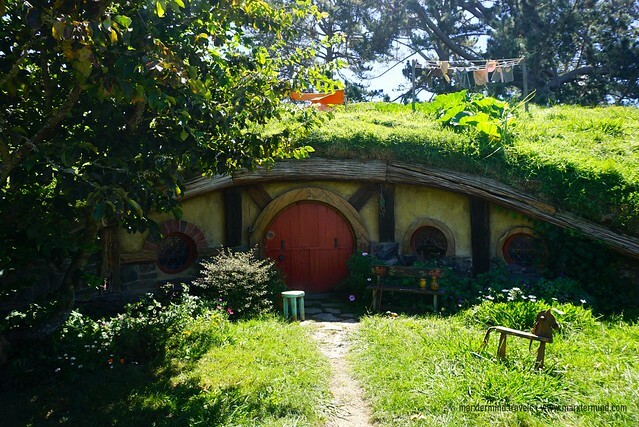 The Hobbiton now has 44 unique hobbit holes. However, it is only possible to enter a few of them. But for those hobbit holes that are accessible to tourists, our guide gave us the time to take photos. Our tour guide also brought our group to some of the iconic locations in the movie set like Bagshot Row, Bilbo’s Bag End home, Mill and the double arched bridge. While touring, I was also able to see the Party Tree and where Bilbo jumped over the fence. It was an exciting tour around the Hobbiton Movie Set. My friends and I were able to enjoy the tour with all of its beautiful gardens and Hobbit holes. Before ending our tour, we went to Green Dragon Pub for a free drink. The tour lasted for two hours. We ended the tour visiting another souvenir shop. Outside the shop, our bus from Awesome NZ was already waiting for us. My friends and I weren’t keen on buying anything from the shop so we went straight to our bus and boarded. 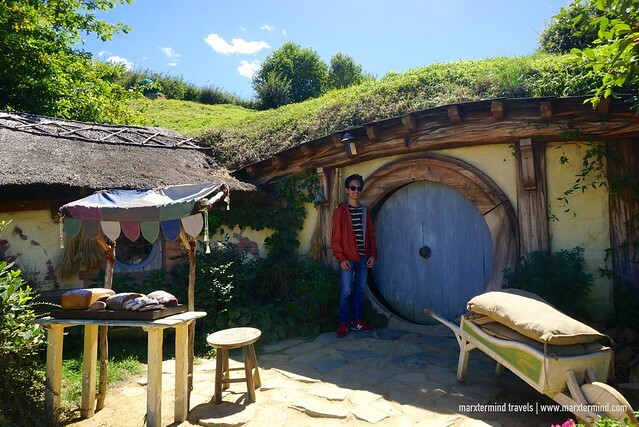 Our day tour to the Hobbiton Movie Set was one of a kind experience. It was a fun and interesting activity that travelers to New Zealand must experience. 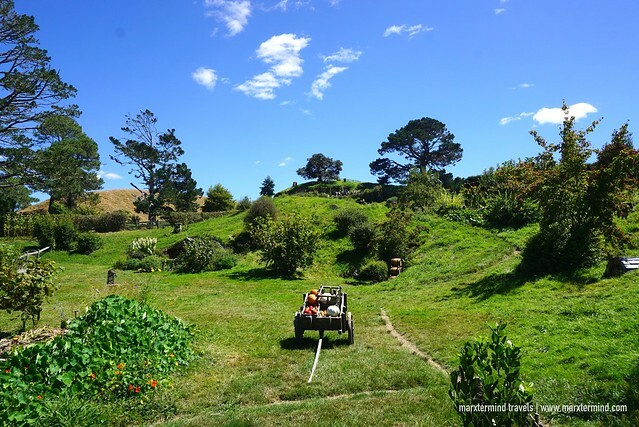 The rolling hills, the iconic set and wonderful scenery made our visit to the Hobbiton a surprising adventure. Awesome NZ is a local company offering some of the most interactive, culturally engaging and thrilling experiences in New Zealand. 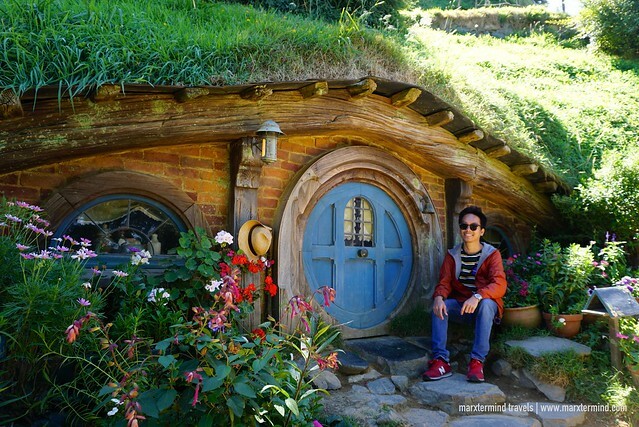 It offers affordable daily tour to Hobbiton Movie Set from Auckland. To know more about this tour, please visit the link below. How to Apply for a New Zealand Tourist Visa?